Every year, the small town of Pingxi, nestling between green mountains and hour from Taipei, fills with beauty and poetry for the end of the Chinese New Year. 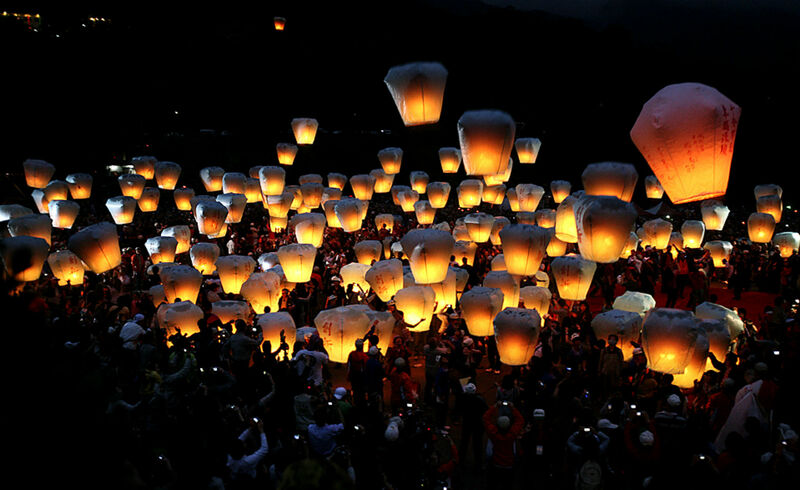 The fifteenth day of the first month of the Chinese lunar-solar calendar is celebrated in this Taiwanese town with the Sky Lantern Festival visited by hundreds of thousands of people from all over the world. They meet and assign responsibility to the flying lanterns to receive and carry prayers, dreams and hopes to heaven.